Phishing emails often try to trick you into clicking on a malicious link or opening a malicious attachment which will infect your computer with malware. Malware is malicious software that gives access to the attacker to steal information from your computer, block access to your files or other undesirable actions. Links contained within phishing emails may also ask you to provide your personal information (social security number, credit card or banking information, passwords, answers to security questions, etc.) which can then be used by the attacker. For example, a criminal may send you an email that appears to be from CDW, when in fact that email may include a malware attachment or a link to a fake website asking for your personal information. If you receive such an email, do not open it or any attachment contained within it. Notify your information security team immediately. Be careful if an email looks different from other emails you’ve received from CDW or if it comes from a CDW address that you have not seen before. Check that the sender name and email domain name match. Don't open any attachments from unsolicited emails or email addresses you do not recognize. Always hover over—but don't click—links that appear in an email to check that the URL name matches the description of the link. Do not click it unless you are sure that the link will lead you to a legitimate website. Watch for grammar and spelling mistakes or poor visual design in the email. Be cautious of urgent appeals like threats to close your account unless payment is made immediately. 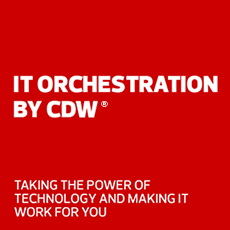 Think you’ve received a suspicious email from someone posing as CDW?